Anthea Skincare is a luxe line of face and body products handcrafted in small batches from organic, wild harvested and locally cultivated ingredients in Boise, Idaho. Anthea Skincare uses the finest organic, cold pressed carrier oils and botanical essences. We source our ingredients as close to home as possible from ethical and sustainable manufacturers. Our products are never tested on animals and always environmentally friendly. Some key Anthea Skincare ingredients are harvested from the wild, varied landscapes of Idaho. Many healing herbs and botanicals can be found in the Rocky Mountain forests or high desert – sagebrush, lomatium root, yarrow, elderflower – to name a few. Anthea Skincare founder Anna Demetriades grows and hand processes many of the botanicals found in her products – rose, calendula, lavender, hibiscus and more. 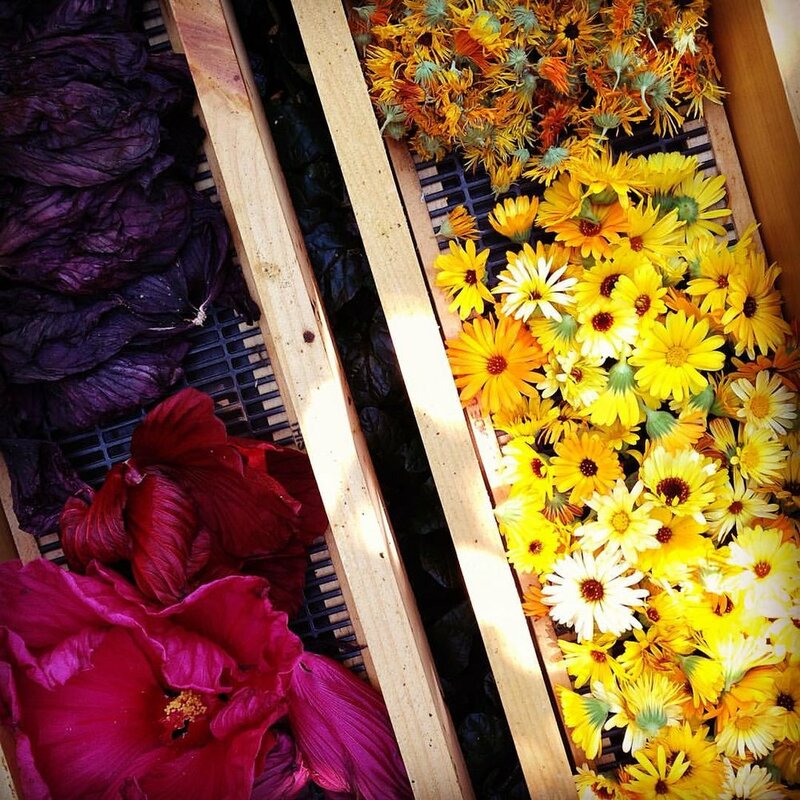 Other ingredients are sourced within the Boise area from sustainable urban farms. The perfect facial moisturizer for most skin types. Balance Serum is refining and nourishing with ylang ylang and mandarin, and is perfect for most skin types. This moisture-balancing oil serum is infused with fresh calendula flowers and contains numerous fine, organic seed oils known for their high vitamin and antioxidant content. Combined with top quality organic carrier oils and blemish-banning sea buckthorn oil, Anthea Skincare's Balance Serum will moisturize, refine, and even out skin tone. Gentle daily moisturizer refines and revitalizes. Rose Simple Cream is a gentle and effective moisturizer that's perfect for hands, body and face. Rosehip seed oil is known for its healing and repairing qualities, and rose essential oil is one of the most effective botanicals for refining wrinkles, healing and restoring vitality to dry or mature skin. Plus, it smells incredible. The ultimate healing cream soothes even the driest skin. Vanilla Healing Cream is richly moisturizing and perfect for dry or problematic skin. A key ingredient, Lomatium root, is found only in the central Rockies and has been used by Native Americans for centuries as a powerful healing agent, successfully treating eczema and other persistent skin problems. Local honey and beeswax smooths skin texture and seals in moisture, and essential oils of vanilla and benzoin revitalize, soothe, and improve skin tone.